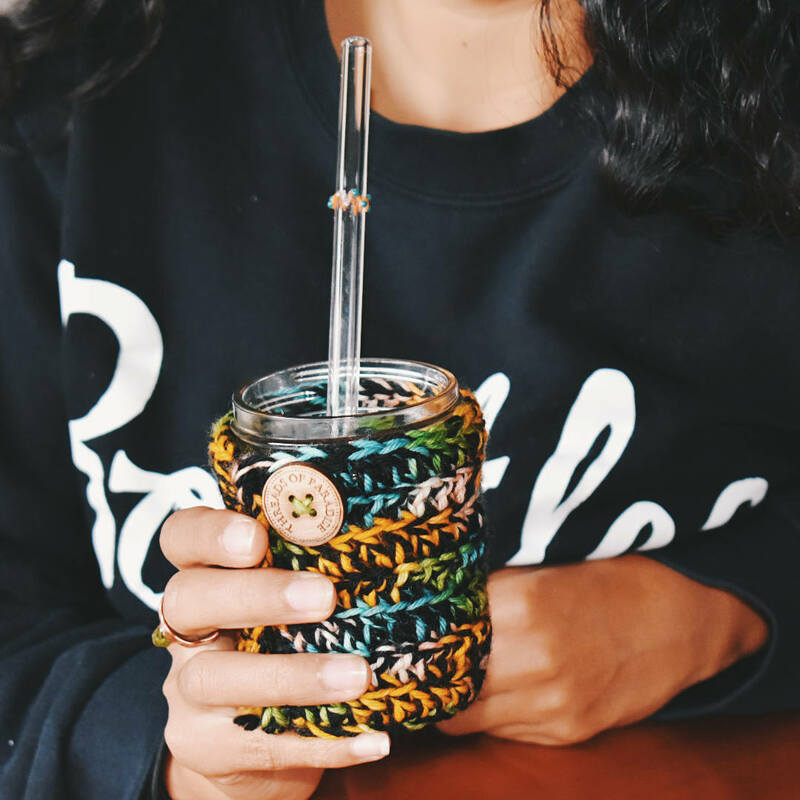 My Beverage Insulators are made to fit your disposable hot or cold coffee cup, mason jar or baby bottle perfectly without stretching out and to give you a cozy, stylish look while at your favorite coffee shop or juice bar. You'll never forget or mistake your cup for anyone else's again! Materials include Kauai dyed bamboo & cotton blend yarn intertwined with a black acrylic yarn. Hand wash with cold water and lay flat to dry. Message for color availability and I will respond with an attached photo!!! 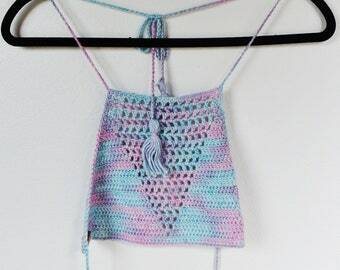 Beatrice Halter in Cotton Candy - Ready to Ship! Beatrice Halter in Cochineal - Ready to ship! Summer Bandeau Top in Sari - Ready to ship! Beatrice Halter in Sari - Ready to Ship! Basic Bikini in Sand - Ready to ship! Basic Bikini in Hibiscus - Ready to ship! Basic Bikini in Indigo & Madder Root - Ready to ship! Beautiful! This top is so stunning, and so well made. Excellent quality. If you are looking for quality and durability I highly recommend this shop. Summer Bandeau Top in Yellow - Ready to Ship! Beatrice Halter in Yellow - Ready to ship! Summer Bandeau Top in Cotton Candy - Ready to Ship! Beatrice Halter in Sand - Ready to ship! Beatrice Bikini Bottoms in Hibiscus - Ready ro ship! Baby Doll Complete Set - Ready to Ship!